I have never dreamt of you is a love story between two girls. Lisa thinks she is in love with Guzmán and feels jelous of Chantal, but, after the motorbike accident he has, Lisa realizes about her real feelings and she will find her soul mate in the hated Chantal. Both of them live their passionate relationship undercover, but without feeling guilty; they are aware that, if someone knows about it, they would be condemned and cursed. 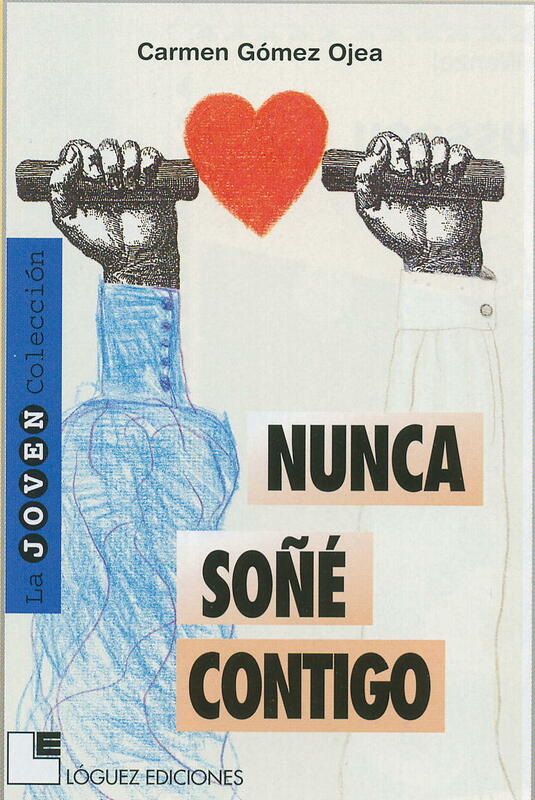 “Gomez Ojea outlines in this text an accurate analysis of love feelings (including homosexual love) during teenage years, proving once again her ability for an in-depth psychological approach and her lack of prejudices in order to authentically portray those characters that passionately pursue their own self-understanding” (CLIJ, Children and Young Adults’ Literature Notebooks). Fran (Francisca) lives her seventeen to the fullest, due to her relationship with Hugo, a photographer who doubles her age and appears in front of her eyes in a foggy morning. Later, at the end of the summer, she will share with him a brief period of passion, a experience she knows will be just once-in-a-lifetime, despite the fact he will occasionally send her letters, which will exasperate her but make her yearn for them at the same time. Racist graffiti appear on a wall at the high school Fran goes to. That provokes Fran and her classmates, who try to figure out how to unmask the offenders. In a given night, when Fran and her gang are hanging out, Aser, the Arab classmate, is brutally assaulted by a group of neo-Nazis. Unintentionally, Fran finds something important; something that will lead her to risk her own life in investigating the Nazi plot. Carmen Gómez Ojea offers, once again, her excellent prose and her mutual understanding about those issues regarding sensitive young dreamers.